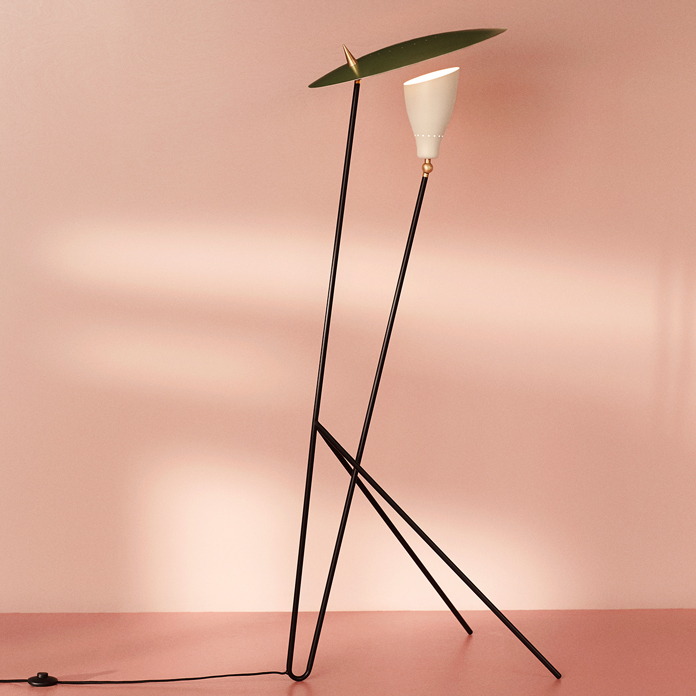 A sculptural floor lamp with an asymmetrical idiom, designed in the 1950s by the internationally renowned lighting designer, Svend Aage Holm-Sørensen. With its elegant structure, the Silhouette floor lamp provides excellent indirect light, a characteristic of other iconic lamps of the era. Silhouette adds character to its surroundings with its idiosyncratic, well-balanced stand and indirect lighting, achieved via reflection from the small upturned light source against the wide metal shade. The result is a timeless study in light and asymmetry, with added details in solid brass. Choose from several beautiful colour combinations, ranging from self-coloured to multi-coloured, in Warm Nordic’s exclusive silky matt quality paint, which guarantees an extraordinarily beautiful and durable surface. The Silhouette lamps were originally created in the 1950s by the Danish designer, Svend Aage Holm-Sørensen, who was a major pioneer in the world of Nordic lighting design. 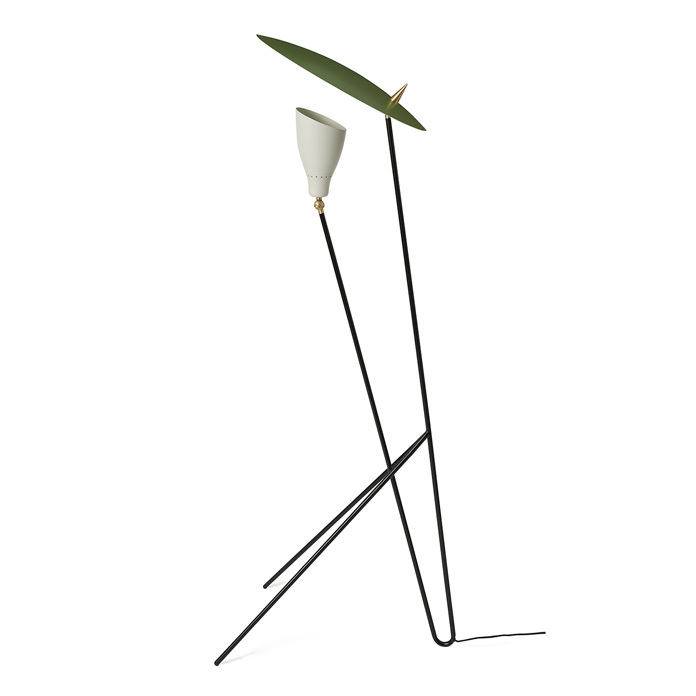 An elegant, sculptural table lamp is also available in a similar design. Silhouette is characterised by its asymmetric idiom, which was also a feature of foreign lighting design at the time. As such, the design is a Nordic interpretation of an international trend, in which designers all over the world invested huge energy and passion in the art of lighting. The Silhouette floor lamp has been specially selected for the Warm Nordic range as a tribute to iconic Nordic design that invests modern décor with invaluable diversity.